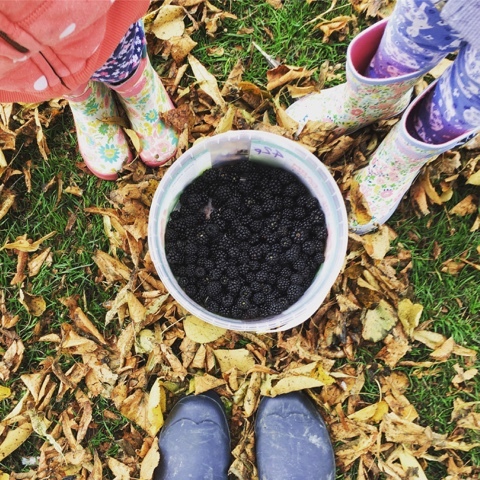 One of our favourite Autumn activities is to pick blackberries and as a result we already have a freezer full of them. We love blackberry and apple crumble on a Sunday after a roast dinner, with lovely warm custard but I fancied trying something different. 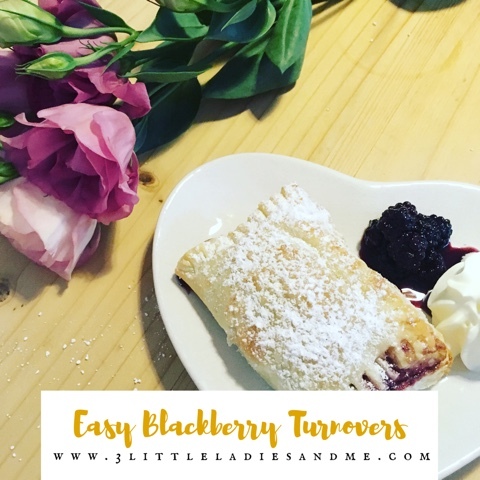 Miss Tibs loves to bake and so I decided to incorporate some of the blackberries we had picked into one of our baking sessions and we made blackberry turnovers. 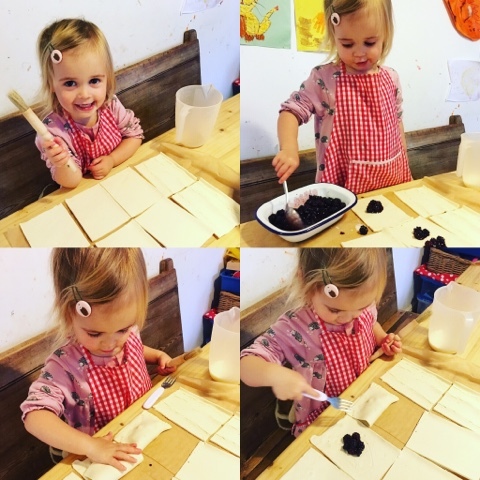 They were so easy to make and toddler friendly so I thought I'd share the recipe with you. - remove from the oven and leave to cool before dusting with icing sugar and serving with cream or ice cream and a little of the blackberry mixture on the side if you have any left over. Miss Tibs really enjoyed working with the pastry and particularly brushing the turnovers with milk and sprinkling them with sugar. Once I had shown her what to do at each stage she was able to fill, fold, seal and brush the rest all by herself. The fact that they cook so quickly meant that they were ready to come out the oven by the time we had tidied up and ready to taste test- probably Miss Tib's favourite bit of all.